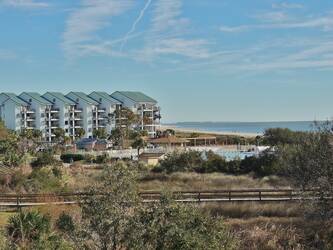 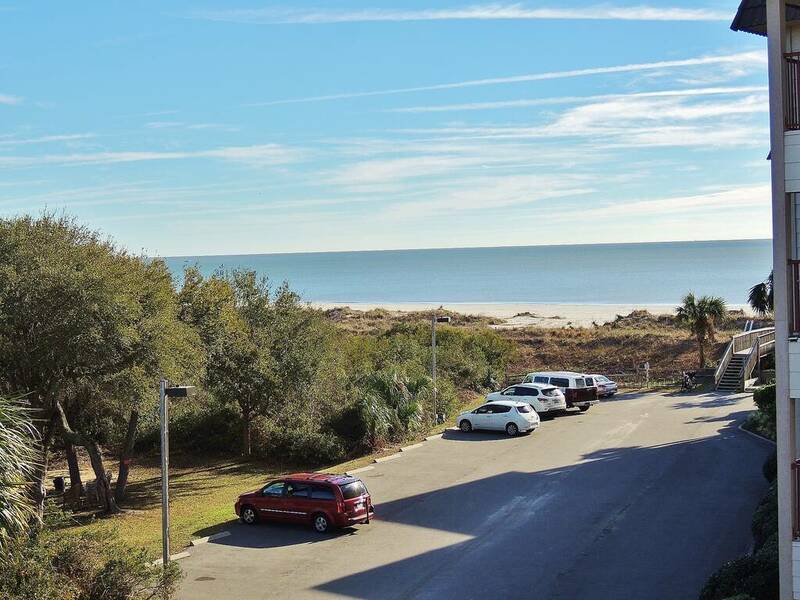 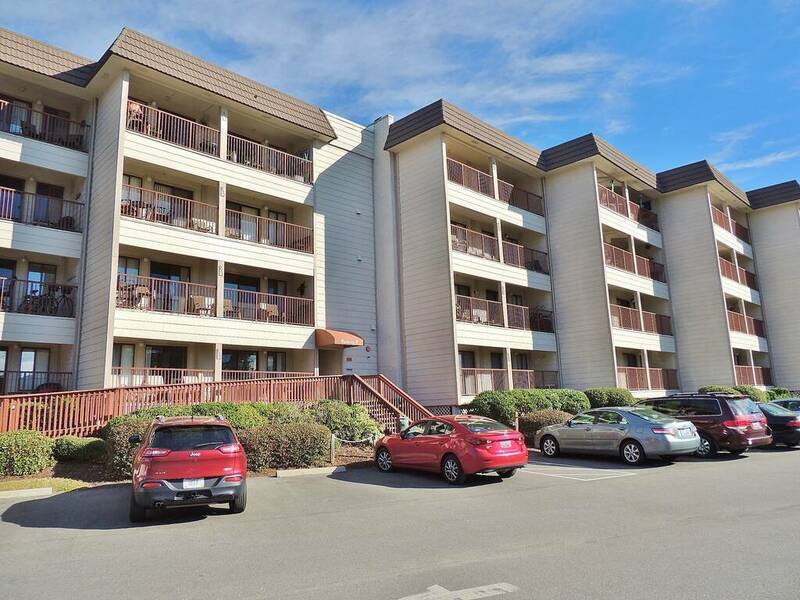 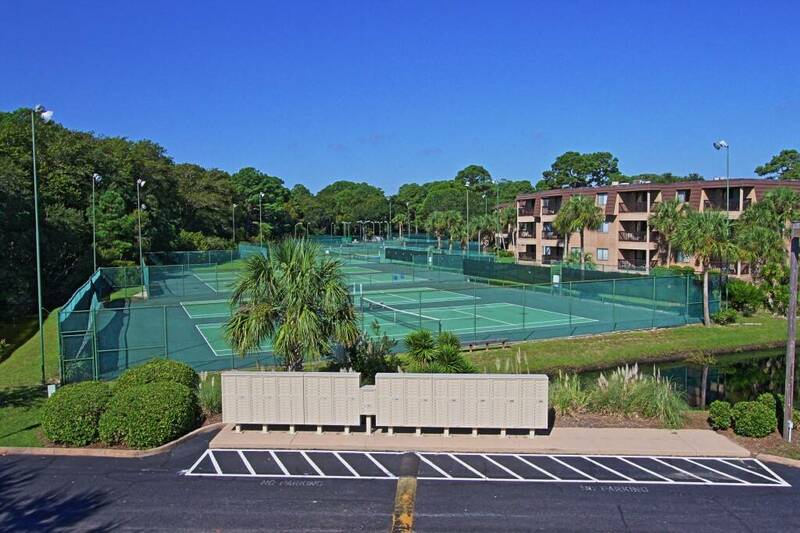 Very nice 2 bedroom 2 bath Admirals Row condo in Hilton Head Beach and Tennis Resort with breathtaking views of the sunrise, pristine ocean, and beaches of HHI! 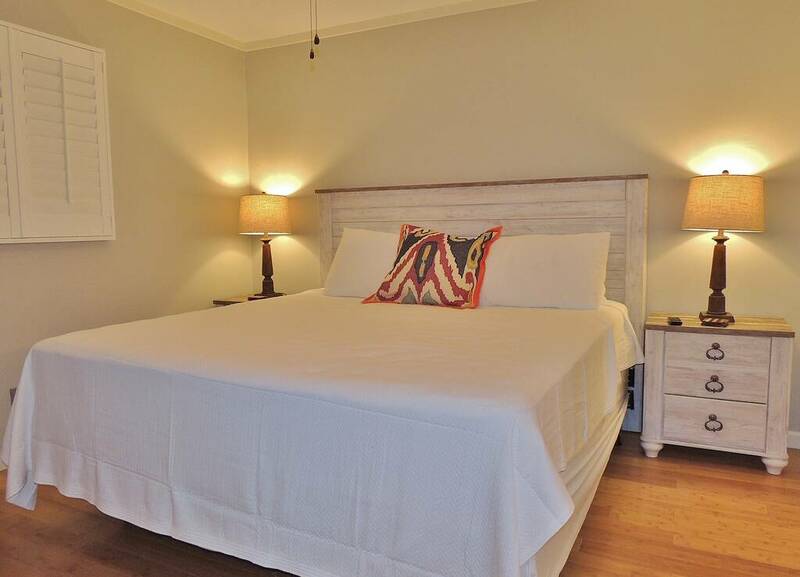 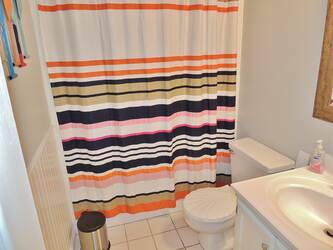 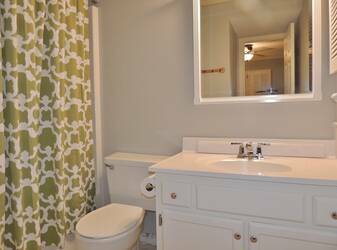 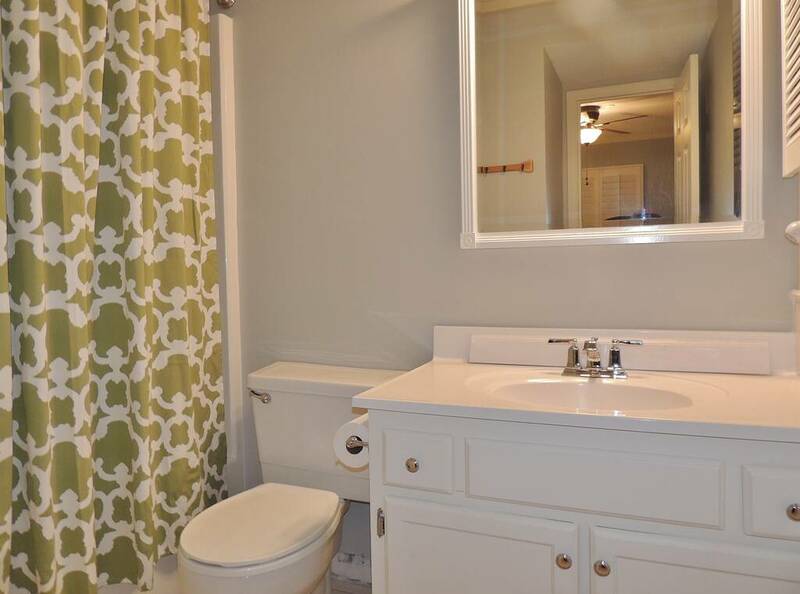 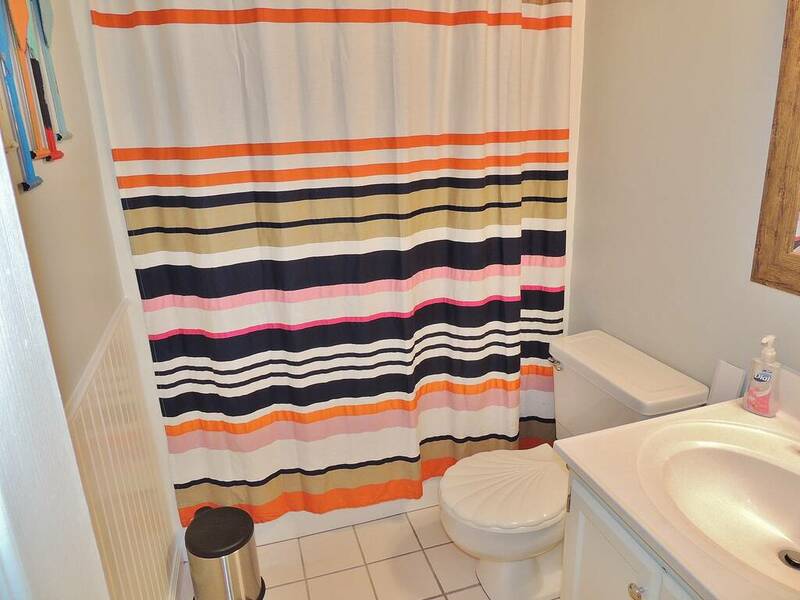 This lovely villa features updated paint, furniture, baths, and flooring. 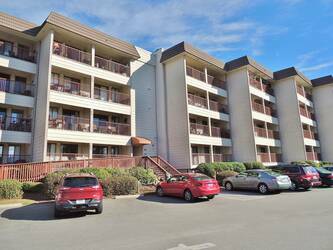 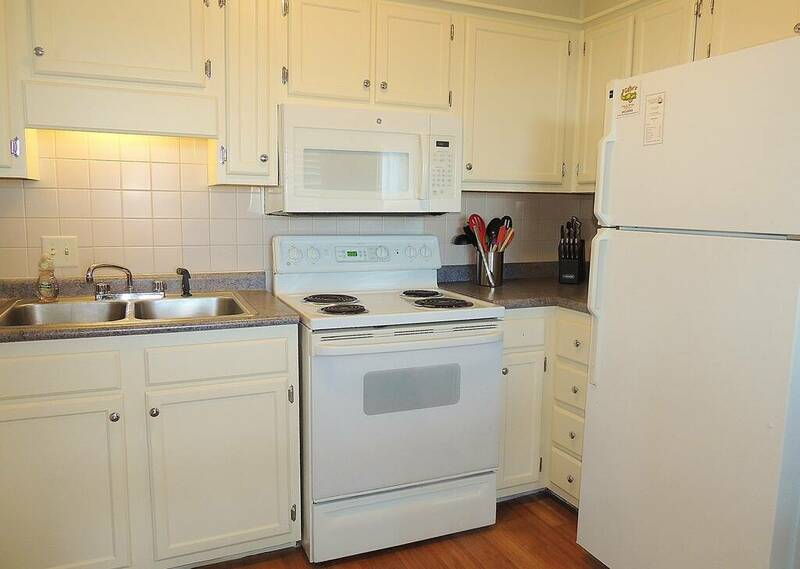 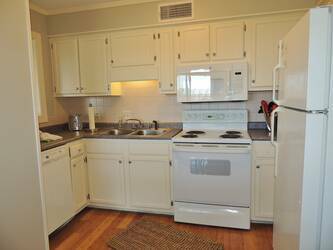 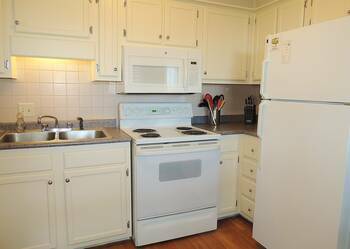 Fully stocked kitchen has coffee maker, utensils, stove, refrigerator, microwave and great views. 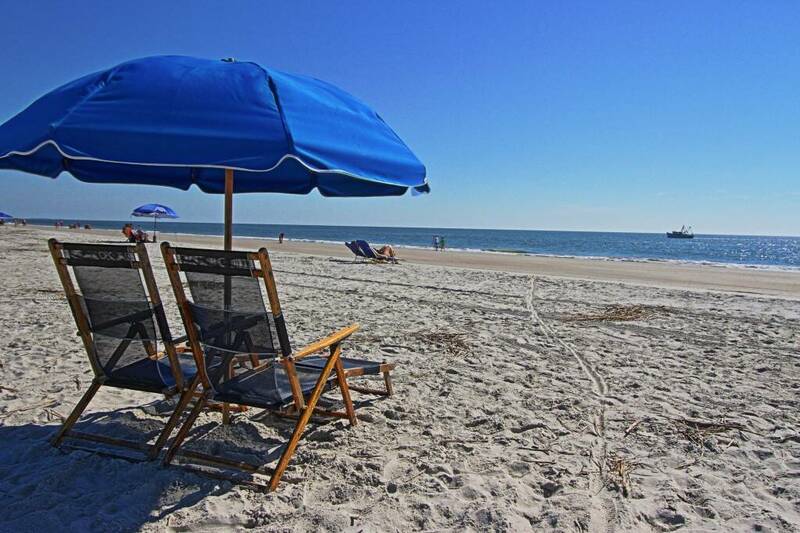 Prepare nice meals or snacks to take to the beach. 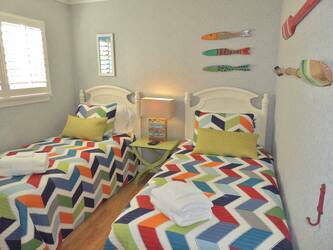 It is an end unit with 2 extra windows making this a bright and cheerful villa. Master bedroom has queen size bed with access to full bathroom. Guest room has two twin beds and living room has nice fold out couch so you can comfortably sleep six people. 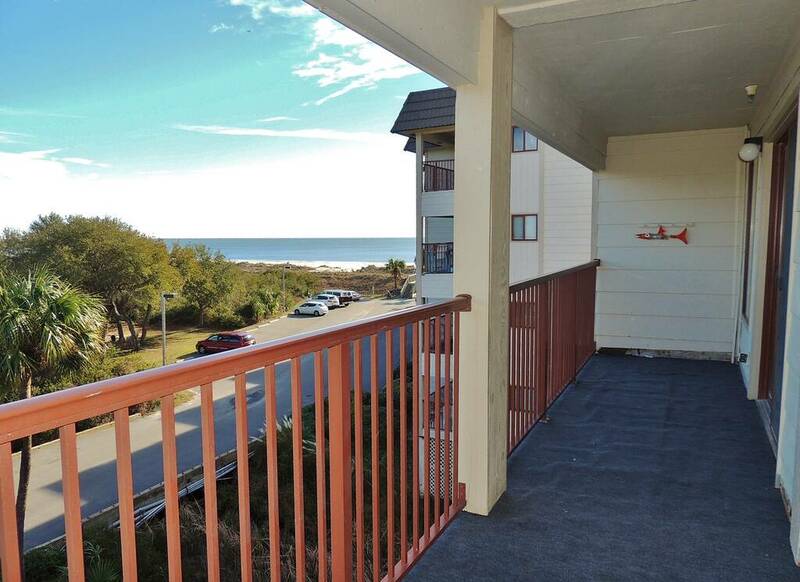 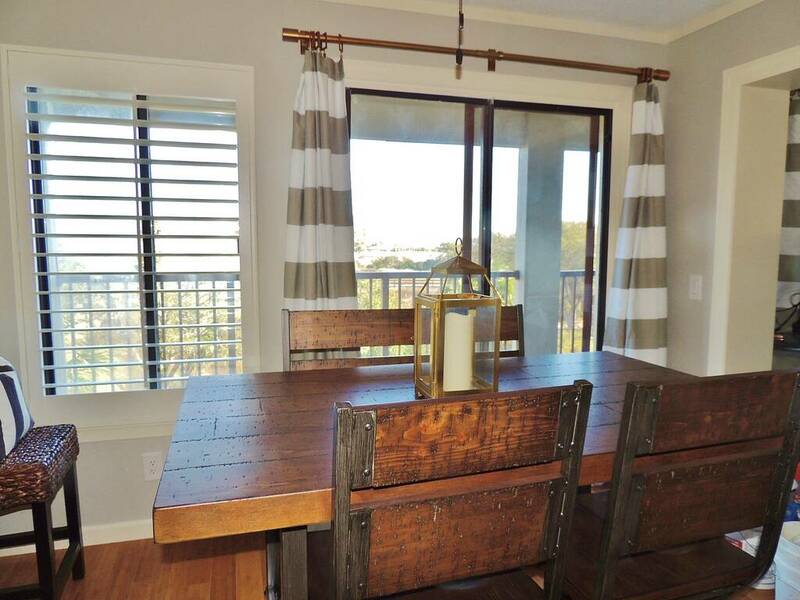 Double sized deck gives you plenty of room to see the ocean from outside. 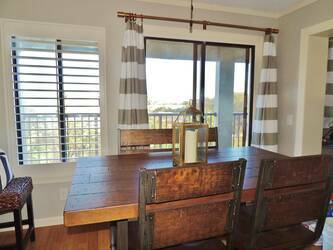 Great views all over the from inside the condo too. 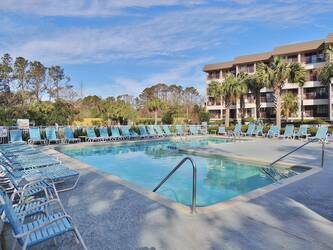 Walk down to the beach and pool. Enjoy the views and the condo. Book online today. 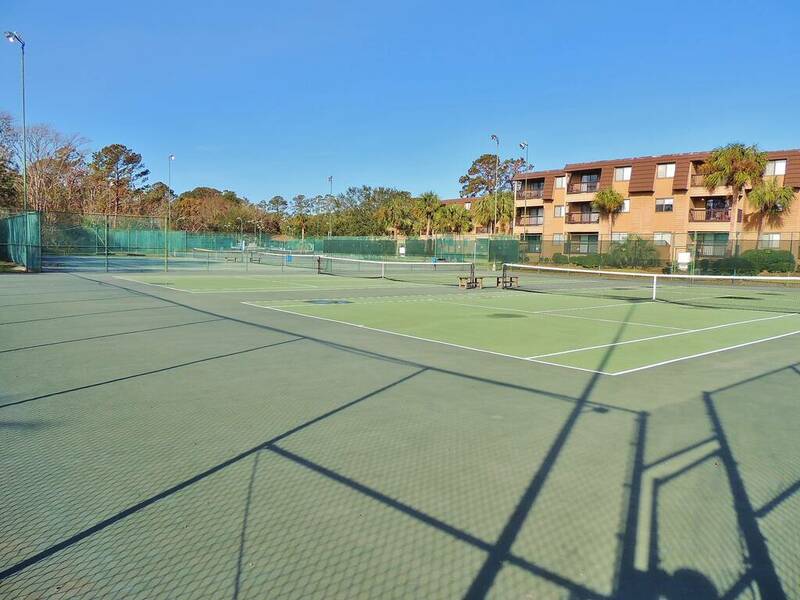 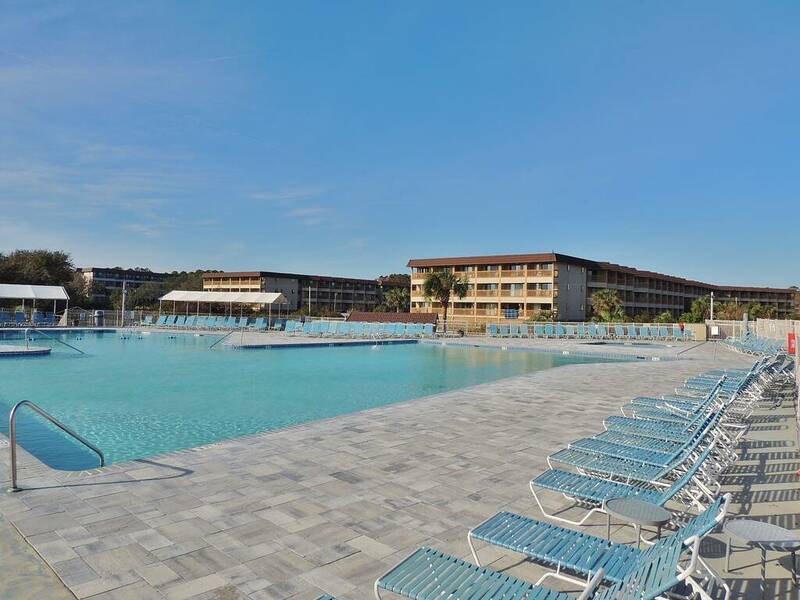 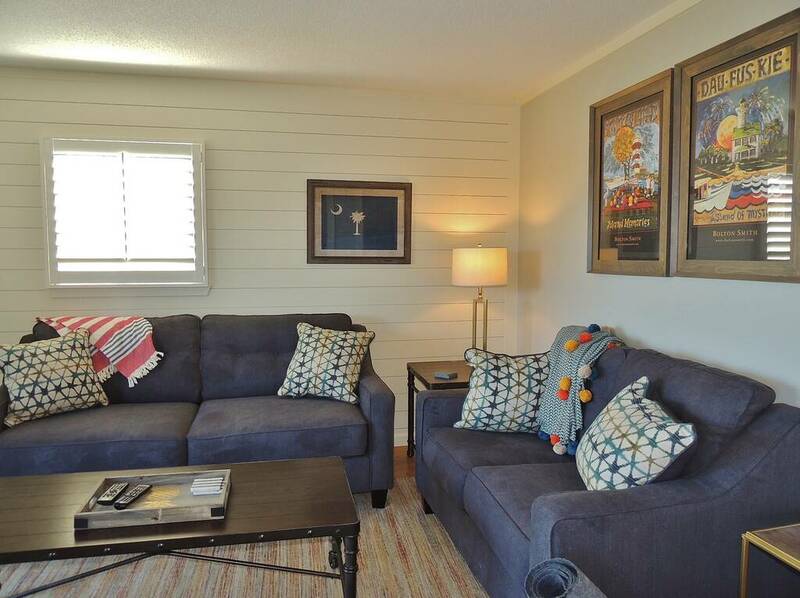 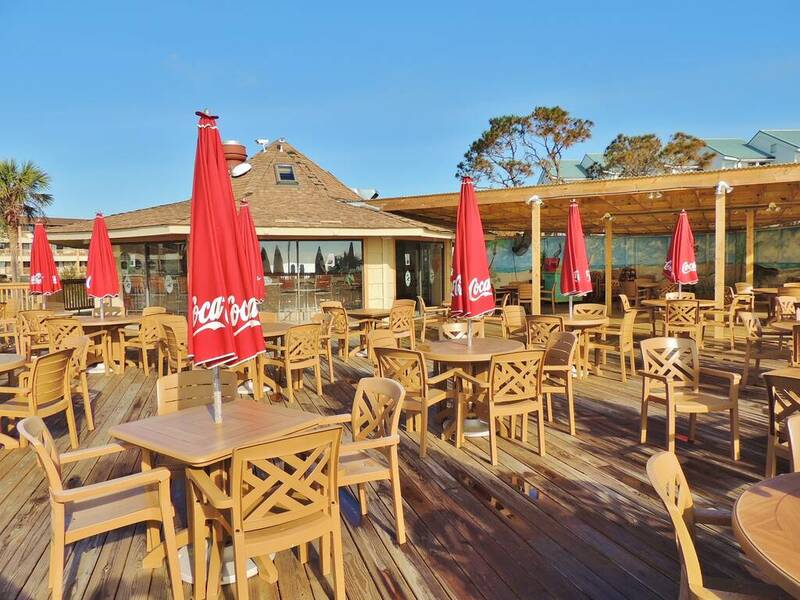 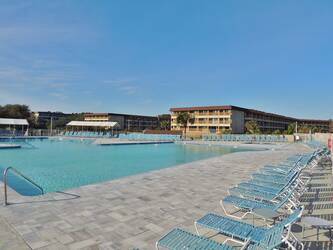 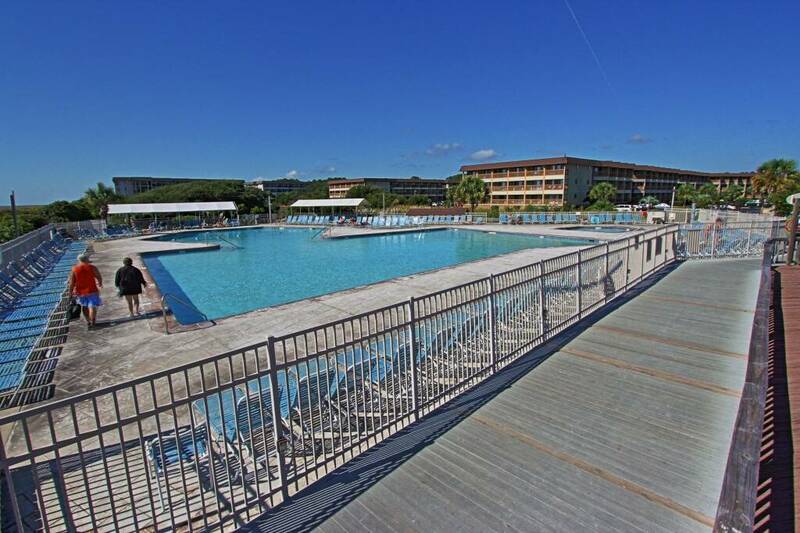 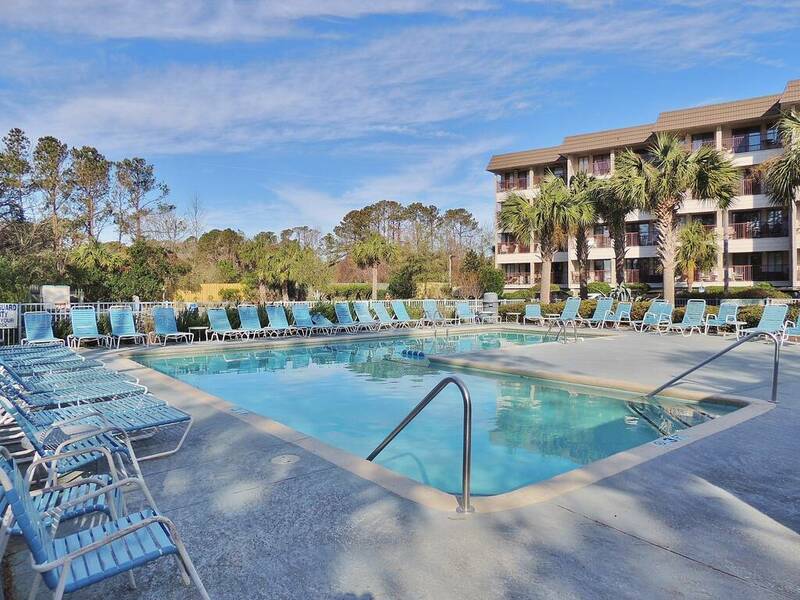 Hilton Head Beach and Tennis has Tons of amenities included on site lighted tennis, oceanfront pool with restaurant and bar on site, security gate, fitness center, and two more on site restaurant in the indoor building making this an ideal family resort! 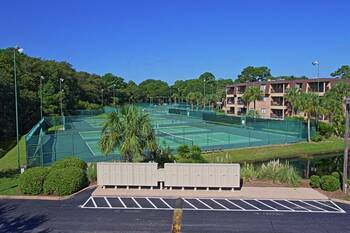 Hilton Head offers over 30 golf courses, 300 tennis courts, 250 restaurants, 120 miles of bike paths and 17 miles of sandy beaches. 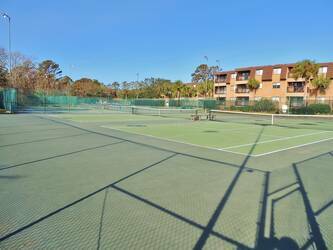 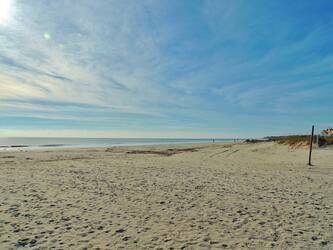 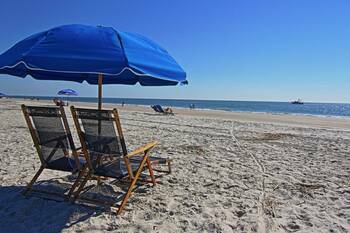 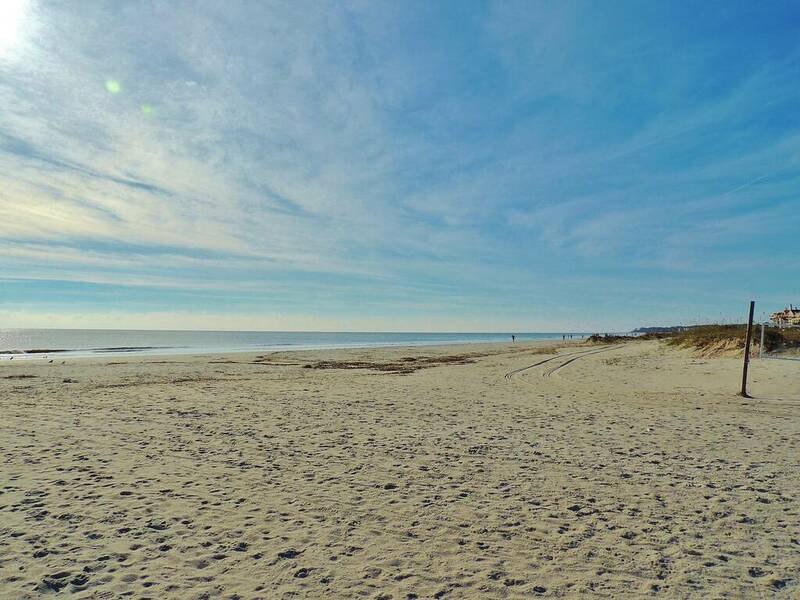 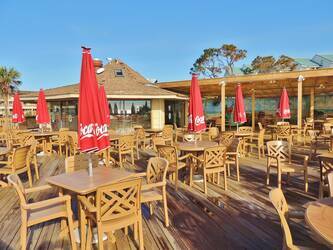 Enjoy all the amenities of Hilton Head Beach and Tennis. 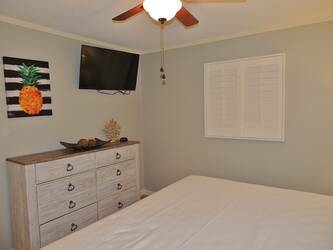 Call today to book or book online on our secure web site. 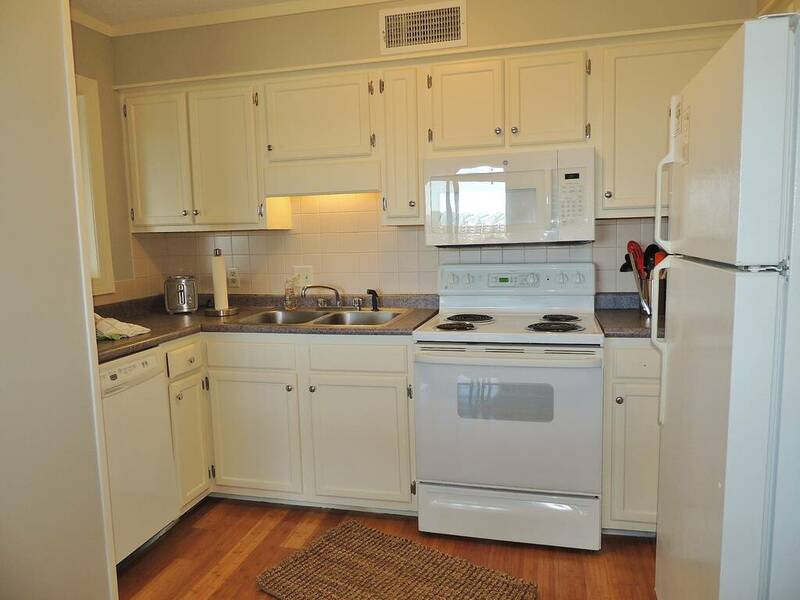 This entry was posted on 04/01/2019 by .